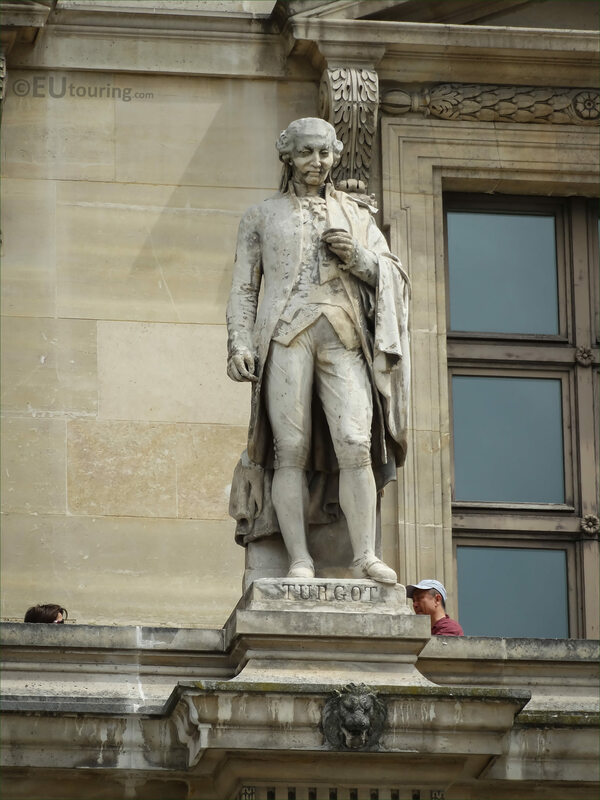 This time while we were within the courtyard of the Musee du Louvre called the Cour Napoleon, we took these high definition photos of a statue dedicated to Turgot by Pierre Travaux, which is located on the Aile Colbert in the 1st Arrondissement of Paris. 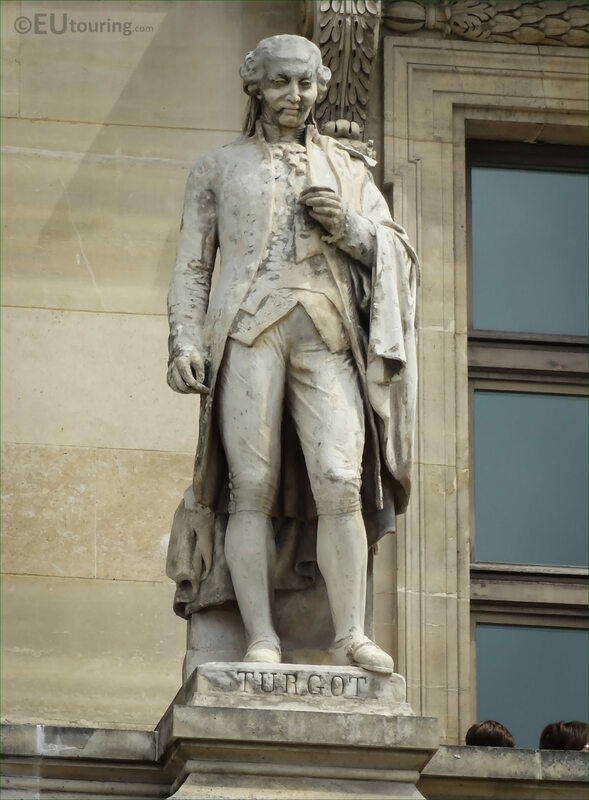 Now this first photograph shows that the statue of Turgot is located on the first level balustrade of the Aile Turgot wing of the former Palais du Louvre, and sculpted by Pierre Travaux, this is the second statue from the left hand side as you are looking at the facade. And as we mentioned above, the stone statue you can see in this HD photo was produced by Pierre Travaux, who was born in March 1822 in Corsaint, and through a short career he was commissioned for many public statues including some for The Louvre, but passed away in Paris only days after his 47th birthday in March 1869. 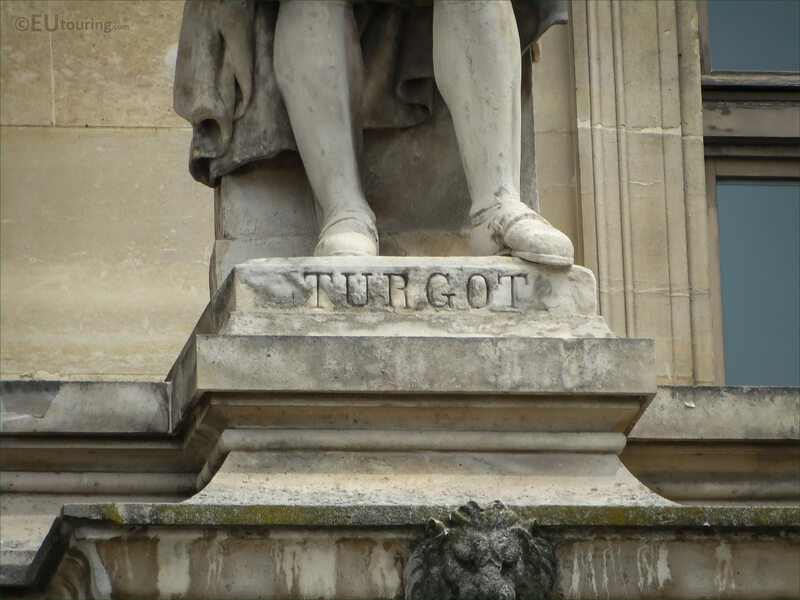 Now this last image shows a close up of the base of the statue with the name inscription of the person it represents, which is Anne-Robert-Jacques Turgot, Baron de Laune, who is normally just referred to as Turgot, and born in May 1727 he became a French economist and statesman, who is mainly remembered as an early advocate for economic liberalism.